Magnetic front closure holds your stored items secure and lays flat with easy installation on any flat backed case or smartphone. 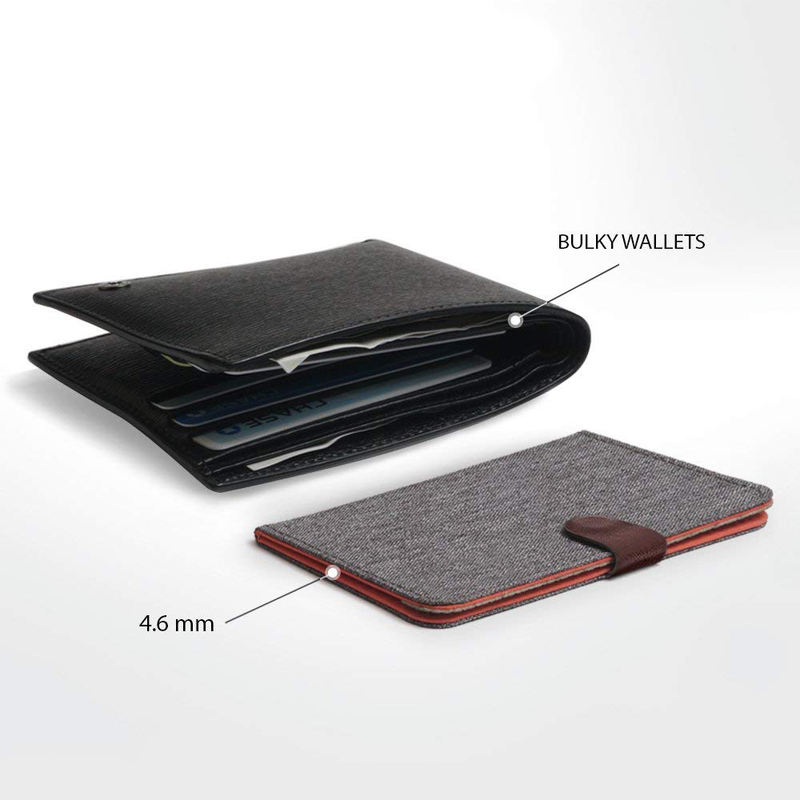 Durable and long lasting fabric cover is soft to hold with dual-sided slot storage to enable a slim and improved card size distribution that lets you easily hold and locate the card you need fast compared to other overly stuffed single-sleeve card holders. *Recommended to use with a phone case to avoid adhesion issues and damage to your phone.